AISI 302 304,304L, 316, 316L, 430 etc. 7kg/plastic spool, or in coil, wrapped with plastic film inside, hessian cloth outside, or at cusomters' demands. 5 days after receiving prepayment. 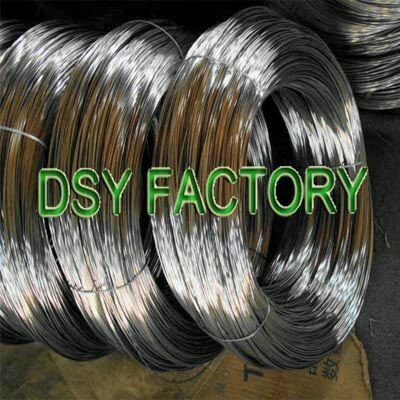 Hebei DONGSHENGYUAN is a big manufacturer,high carbon ss wire is one of main products! 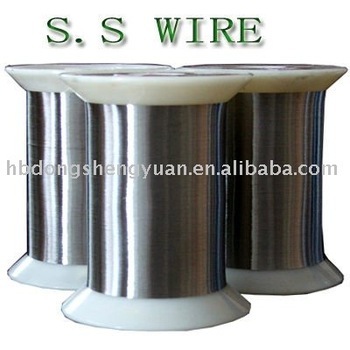 ss wire: also named ss wire,can be classified into stainless steel soft wire and stainless steel hard wire according to the processing differences. ss wire Materials : 302 304,304L, 316, 316L, 430 etc. ss wire Application: Stainless Steel wire With bright surface, slight magnetism and no cracks on forming, is widely used in bicycle fittings, kitchen and sanitation tools, goods shelf, pet cages, gill racks, decorative handles and baskets, food and medical machinery accessies etc. Packing can be done as per your specifications.